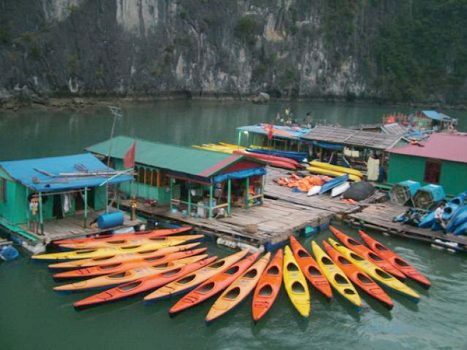 Trip highlights is traveling experience through large and small beautiful cave, thousands of unique islands in Halong Bay. 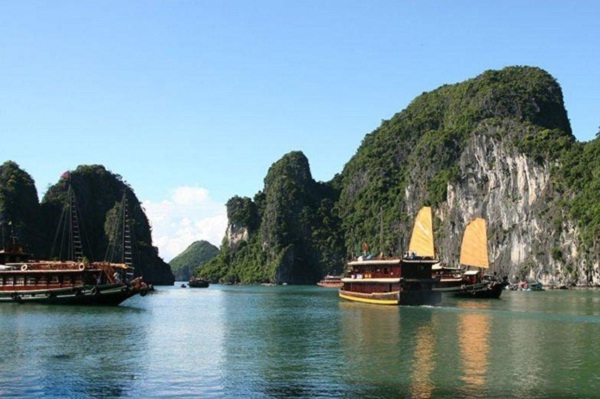 Top attractions are Sung Sot Cave, one of the cave’s most beautiful limestone stalactites Halong Bay, Hon Dog rock, Soi Sim Island, Ga Choi Islet, Bai Tu Long Bay, Bai Tho mountain. On the journey through Bai Tu Long Bay, you will admire the famous scenic Halong Bai Chay bridge, Bai Tho mountain, Hon buckling, studio film “Indochina”, Am Hon, Hon Rong, Hon Bell… with thousands of small islands of the herd “Dragon beg Mother”. Starting the day with the exercises on the deck sunbathing. You can also watch the sunrise over the sea Halong if favorable weather, enjoying the fresh air, listening to the sounds of nature. Tea and coffee are served for free. 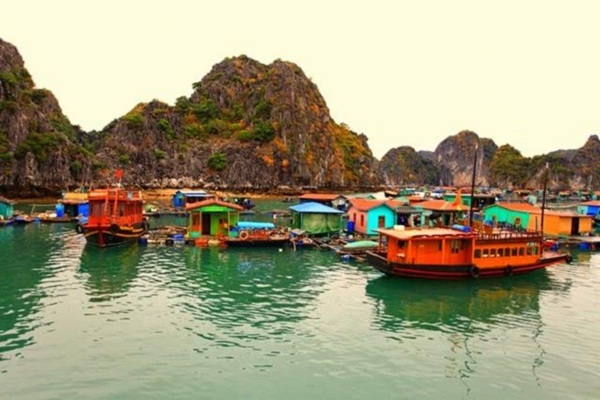 Ships take you to Vung Vieng fishing village, where you can visit and participate in the activities and learn about the lives of her children fishing village. Vehicles fishing village: small boat by rowing relatives come for a visit to the Vung Vieng Community Cultural, pearl farms and views of people living in Vung Vieng fishing village, visit Luon cave home and strange. 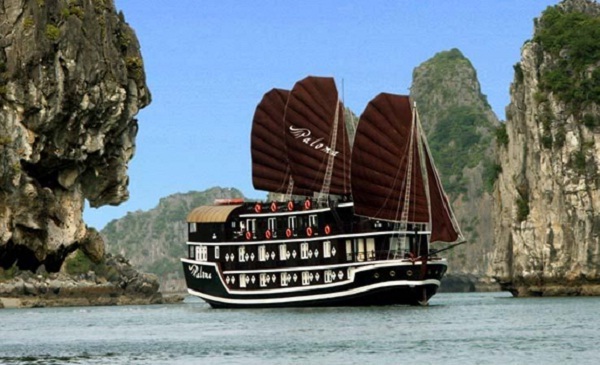 Halong Paloma Cruise is considered as a symbol of Halong Bay, with elegant appearance, modern furniture, large sundeck will bring comfort to each trip. Paloma Cruise yacht is designed in classic style luxury mysterious, they have 22 bedrooms with 4 star standard, a bar for guests to enjoy drinks, cocktails, 1 large playground, 1 restaurant, luxury spa. 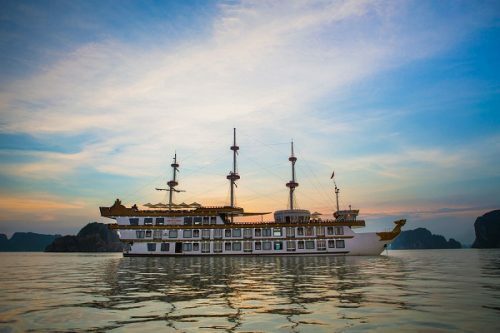 The charm and sophistication of the yacht Paloma, along with a staff of 25 people of openness, passion for giving guests feel comfortable, cozy, comfortable house are his dear these days discover the heritage of Halong Bay. 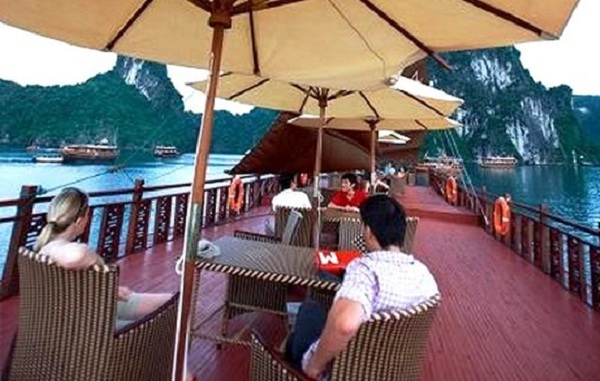 Experience the natural wonders of Halong Bay, you will definitely have moments of leisure and relaxation.